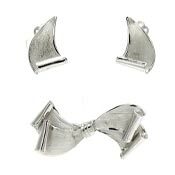 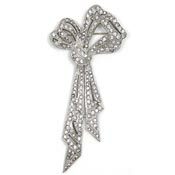 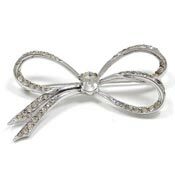 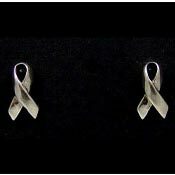 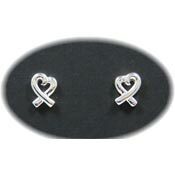 Sterling Silver Bow Pin and Earrings Set By Turin Inc.
Show your support with a silver awareness ribbon design! 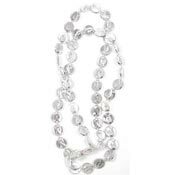 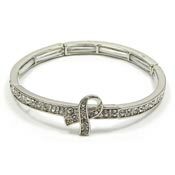 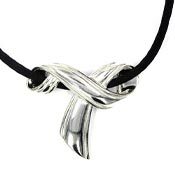 You may also order custom silver ribbon jewelry here. 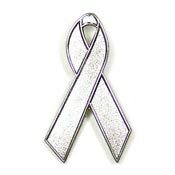 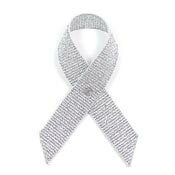 Silver Ribbons may be worn for: The Silver Ribbon Campaign For The Brain© for brain disorders and disabilities - includes Traumatic Brain Injuries (TBI) , Children with physical or learning disabilities, elderly abuse, stalking and Cortical Visual Impairment Awareness.